Siroi Mura is an audio-visual artwork within which artist Alba G. Corral explores the relationship between sound and visual art through a collaboration with musician Odil Bright. The work was commissioned for the New Realities exhibition by Alpha-ville. 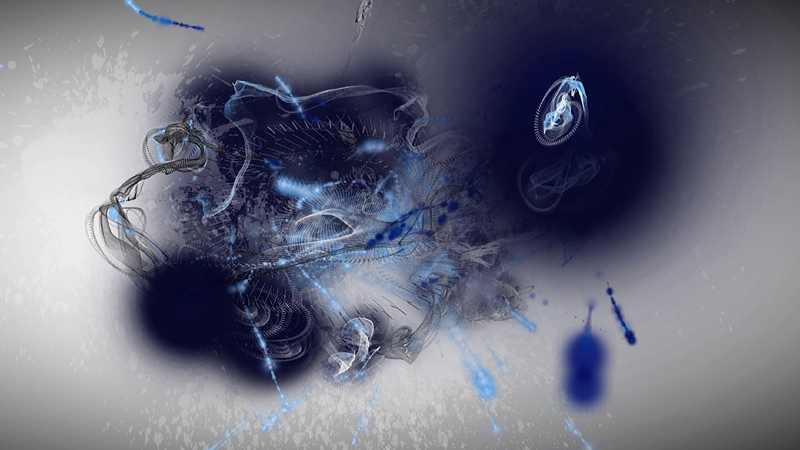 Using the screen as a canvas, and code as the brush, Alba composed two different variations of the artwork. In Siroi Mura #1 Alba’s visual creation responds to the music, complementing audio and video; dark and white colours; space and digital.